Over the years large corporations, homegrown businesses and end users have migrated their data storage needs from a single solution to high speed, multi-cached, distributed I/O configurations. Redundant Array of Independent Disks or RAID technology has been available for many years, its prevalence has become increasingly significant due to larger operating systems, more robust applications, and a myriad of graphic and sound storage requirements. We understand all of these needs and address them on a personal level. With Raid Server Recovery we can retrieve the entire inaccessible data from all server brands like Dell, HP, Lenovo, Mac, Asus and also media storage devices and NAS RAID Systems like QNAP, Synology, NetGear ReadyNAS, Dell PowerVault, Drobo and G-Raid. Here at Datacillin we have FREE evaluations and diagnostics for Raid Recovery. After the initial evaluation we will provide you with a thorough diagnosis as well as the steps needed to do the RAID recovery. We recover data from a broad range of Servers based on Windows, Apple and Linux OS. Emergency RAID Recovery Help: Most of our RAID recovery takes less than a week but we do offer emergency expedited service. Please contact us for pricing information. Amnet Datacillin has great technical expertise on RAID recovery with over 20 years combined experience in the data recovery field. Our highly skilled RAID recovery engineers are second to none in troubleshooting and recovery. CALL us at 212-935-9200or fill out contact form to find out how Amnet Datacillin can help! Almost every IT professional who administers a RAID server will at some point needs to know how to handle a catastrophic fault... RAID failure or crash. The following is a list of recommended actions to take to give you a fighting chance for a RAID Recovery. Make sure that all drives have spun down and no power is getting to any of them. With almost every technician I speak with, they have no idea how the original RAID was exactly set up. They may have an idea of the RAID type but other than that, they really don’t have any clue about the details. With that in mind, a RAID can be configured to do an automatic rebuild when it comes back online. If a stale drive is in the array, this will be the end of any chance of your RAID recovery. The RAID may be configured to do a background surface scan of each drive that can in fact damage any suspect media even further or sometimes even worse could cause failed drives go in and out of the raid system which badly damages the consistency of the data blocks. Do not perform any type of initialization, reconfiguration, scrub, or any one of several different RAID reset functions on your drives. Do not pull the drives out of the enclosure or change the order of the Raid drives. 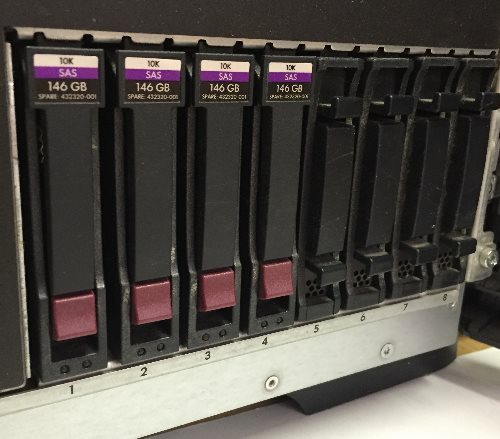 Some IT techs make a big mistake by re-configuring the hard drives array in the Raid and bring them back online, thinking their backups are flawless and by doing this, they are destroying the only chance for recovering the lost data, first, check the backup and the integrity of the data. This means, don’t just view the tree, you MUST look in the folders and make sure the data is there. For extremely critical data like email archives (PST) and database files (DBF, MDF, LDF, EDB) mount these files in a separate computer to make sure that the data is current and not corrupted. This will do two things, first you will know if the data is up to date, and second, you can start your migration process in case you can’t get the RAID to come back online. There is a BIG caveat with this. Don’t let anyone get into the server. Many of these RAID technicians have no clue about a RAID or RAID recovery and are only following routines with step by step instructions that are designed to get your Server back online without so much emphasis on keeping your data safe. I will repeat that... Most of the technicians are just trying to get you back online and are not worried about your valuable data. It’s not a bad thing, just a fact of life. These utilities are not designed to save your data, they are just designed to align the file system so that it can be mounted. Chkdsk will destroy MFT entries and any Linux file system checker will also blow out data nodes before you have any chance for data recovery option. If these utilities are run then it is a sure sign that you have a stale drive in the array and is probably being automatically rebuilt while you are trying to figure out your next step. No matter who is screaming or what the immediate needs are for the Server to go back online, just keep calm and carry on. Ignore any distraction and go about your job at a reasonable pace. Do not work for straight 48 hours and do not be in a hurry. Try to avoid anything that will lead you to make a mistake. BE COOL! That’s right, call us. If you get stuck, not sure what to do, call us! We will tell you exactly how to handle your particular situation.We will tell you what to do, where you stand, and your best course of action. CALL us at 212-935-9200 or fill out contact form to find out how Amnet Datacillin can help! Last word, there are many actions you can take to handle the situation. 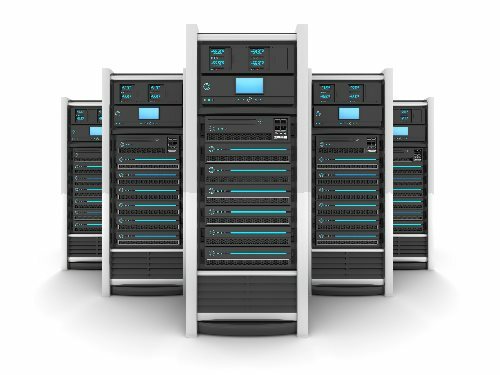 In the event of a server crash with all of your options have been exhausted, your one and ONLY OPTION is to get a professional help for your Server Drives Raid recovery. Our expert technicians are easily available for this dire task.